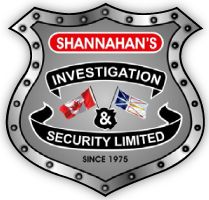 Locally owned and operated, Shannahan’s Investigation & Security Limited is always responding quickly to your security needs. Our well-trained staff comprised of 240 security officers can accommodate you on short notice requests thanks to our 24/7 emergency response. We know that a lot can go wrong when you least expect it. So be prepared with Shannahan’s Investigation & Security Limited and call us today to discuss your security options.